The Vegan Kind is by far my favourite food/lifestyle box, and I'm not even vegan! I just love the variety of products that they include every month, and August's box is no exception with some very exciting new foodie treats. 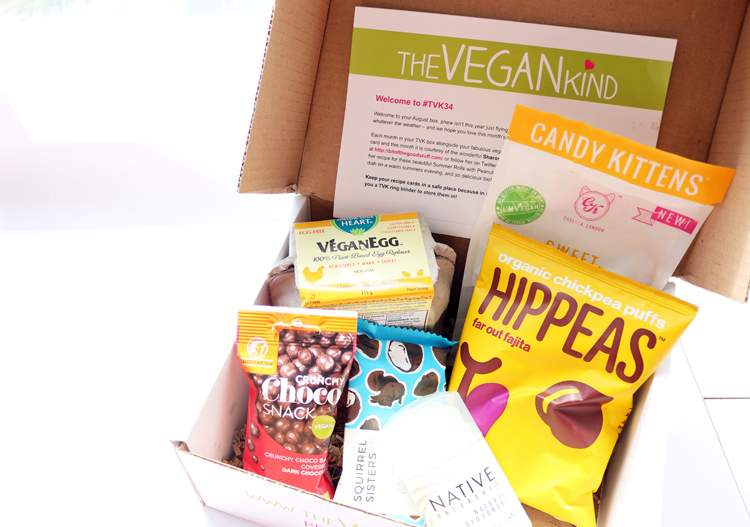 This month's The Vegan Kind box contains six products; five food and one beauty. As always, there's a good mix of sweet and savoury items, so let's take a closer look at what I found inside. A lot of my vegan friends have been raving about this and I think the packaging is super cute! 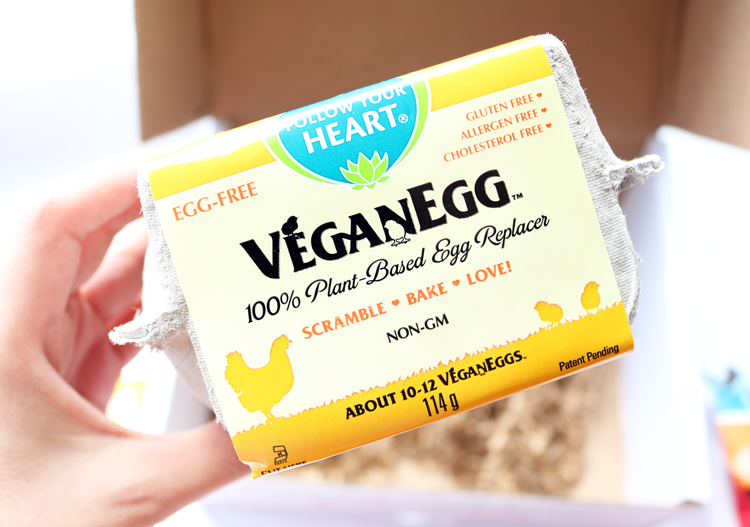 This is a 100% plant-based egg replacer which you can use in baking, and also to make scrambled 'eggs'. It's made from agal flour (derived from algae) so it comes in a powder format that you mix with water to make an 'egg'. I think this is a great idea that will also appeal to those who are allergic or intolerant to eggs, plus they're much lower in fat and calories than regular eggs, so ideal for anyone who is watching their weight. I'm excited to give this a try! I often use bananas in place of eggs when I'm baking because I like the consistency, so I'm curious to see how these will turn out in cakes. My favourite item this month are these AMAZING sweets from Candy Kittens. Not only are they beyond adorable, but they have an incredibly satisfying chewy texture and are by far the best gelatine-free sweets I've ever tried! 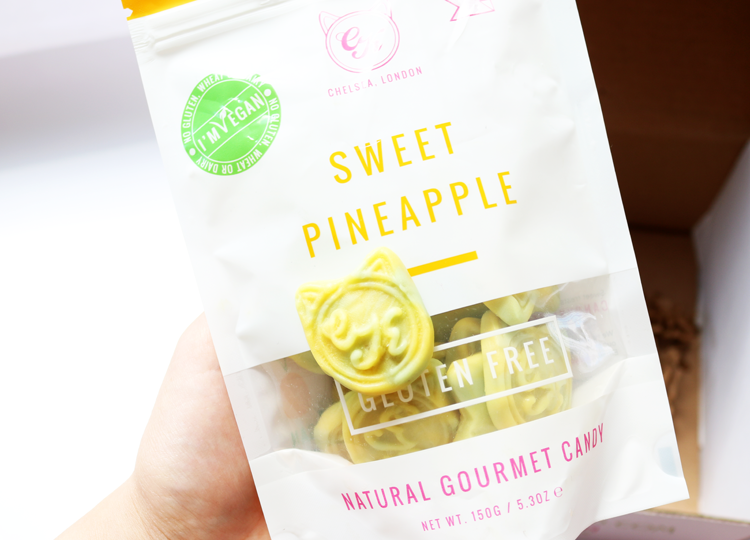 Gluten free and made from natural ingredients, these are the first vegan sweets that Candy Kittens have created and I'm really hoping they are going to bring out some more flavours in the future. Love this Sweet Pineapple one! For a chocolate fix, these are really good. 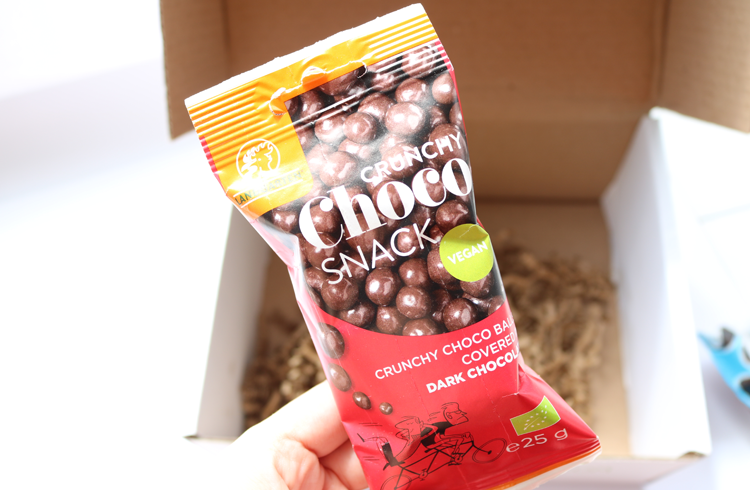 They're small crunchy balls covered in rich dark chocolate - nice and simple! Similar to small Maltesers but without the malted centre flavour. Organic, fairtrade and non-GMO. 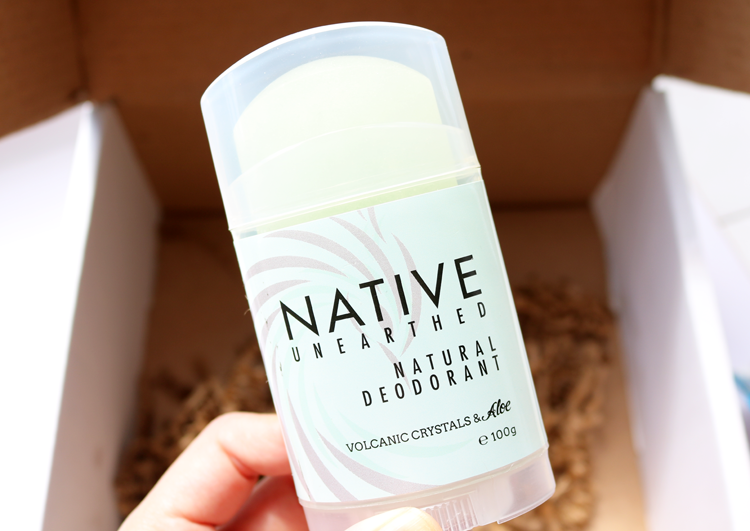 A new deodorant always comes in handy but I haven't used one of these natural crystal versions in years. I've used the Salt Of The Earth one before, and this seems very similar, except it's infused with aloe vera to make it more soothing. It's unfragranced, alcohol, aluminium and paraben free. Looking forward to getting reacquainted with it. I've seen pictures of these on social media and thought they looked really cool, but I had no idea how delicious they were! 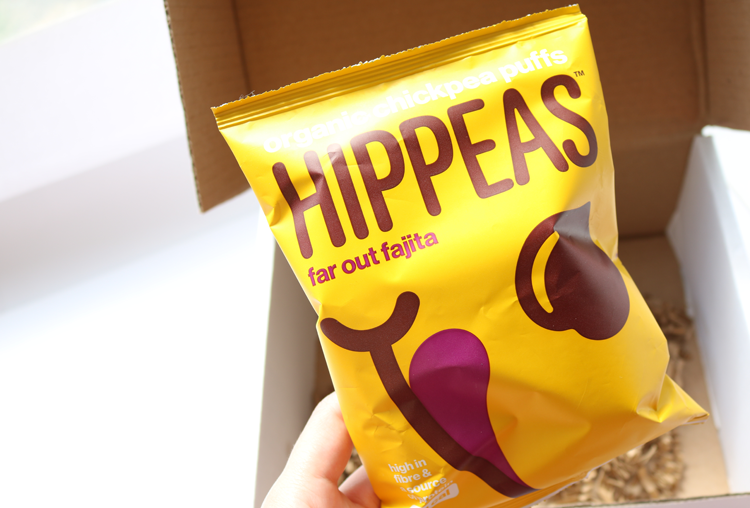 Yummy, crunchy, Wotsits style puffs made from chickpeas and sprinkled with natural flavouring, they're high in fibre and a good source of protein. I received the 'Far Out Fajita' flavour which was a subtle spicy combo of chilli, paprika and cumin - so, so good. Will definitely be picking up some more of these. 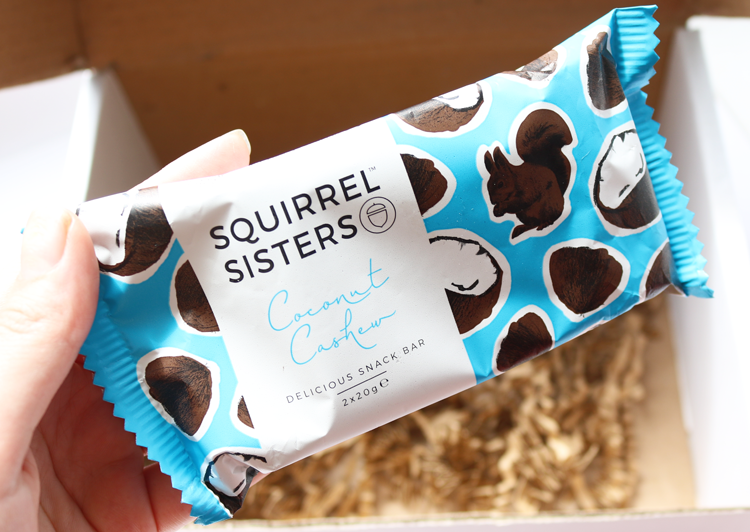 I've had the Squirrel Sisters Cacao Brownies before in a previous TVK box (reviewed here), so I have a gut feeling I'm going to enjoy this Coconut Cashew raw bar. 100% natural, gluten-free, with no added sugar, these are great for a post-workout snack or just a healthy treat on the go. I find them similar to Nakd bars in taste and texture but in smaller portion sizes, so if you like them, you'll love these. I forgot to snap a pic of this month's recipe card (oops!) but it's for some delicious looking Summer Spring Rolls with Peanut Dipping Sauce, and August's chosen charity is OneKind, an animal welfare charity based in Scotland, who will receive 10p from every TVK box sold this month. I seen Lucy Watson open the exact same box and I was so intrigued to hear about the eggs. You'll have to share how they taste. Such great quality for £10!